Former VHP leader Pravin Togadia began his indefinite fast here today in support of his demands, including construction of a Ram Temple in Ayodhya. The 62-year-old Hindutva leader, who quit the post of VHP International Working President last week after his nominee Raghav Reddy lost a key organisational poll, launched the fast outside the state VHP headquarters in the Paldi area after 12 pm with some Hindu saints and supporters. Togadia had earlier said his hunger strike would be aimed at the welfare of Hindus and to draw attention to his demands. These included construction of a Ram Temple at Ayodhya, a nation-wide ban on cow slaughter, enforcement of the common civil code and resettlement of displaced Kashmiri Pandits. The surgeon-turned-firebrand leader had launched a scathing attack on Prime Minister Narendra Modi after he quit the VHP, a right-wing outfit with which he had been associated with for decades. Earlier, Togadia was to sit on fast at GMDC Ground, but the police denied permission after which the venue was earlier today shifted to outside the VHP headquarters. "We were denied permission by the police to go ahead with fast at GMDC Ground so we had to change the venue (located around 5km away)," said former VHP city president Raju Patel. 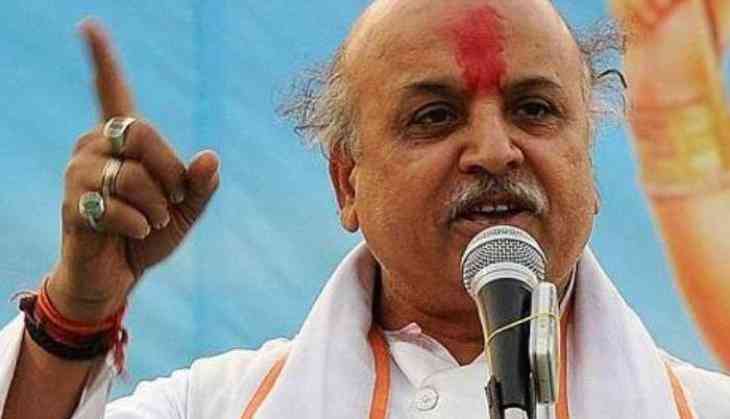 Togadia quit the right-wing organisation after former Himachal Pradesh Governor V S Kokje was elected VHP international president defeating his nominee Reddy on last Saturday. Modi and Togadia, both of whom hail from Gujarat and started out as Rashtriya Swayamsevak Sangh volunteers, drifted apart in the last decade with Modi's rise. Togadia had made a sensational claim last month, saying a Rajasthan Police team had come here to "abduct" him and he feared he could be eliminated in a "fake encounter". During the long-drawn tussle within the state BJP between Modi (before he became PM) and former chief minister Keshubhai Patel, Togadia was believed to have backed the latter. The former VHP leader belongs to the Patel community. Togadia recently met Patidar quota agitation leader Hardik Patel, who had campaigned against the BJP in the 2017 Gujarat Assembly elections.